range fragments the experience of the work of art, thereby creating multiple points/spaces of engagement for viewership. It engages the transient and mobile condition of much of our inter/action within the urban environment. 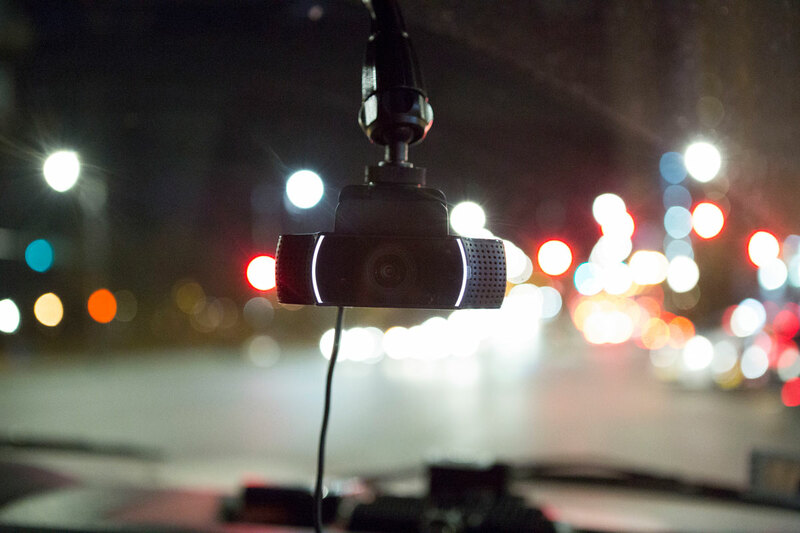 Utilizing a box truck, mounted with multiple external cameras, images from the surrounding environment is live captured, mixed with pre existing video and projected onto a screen mounted in the back of the truck. 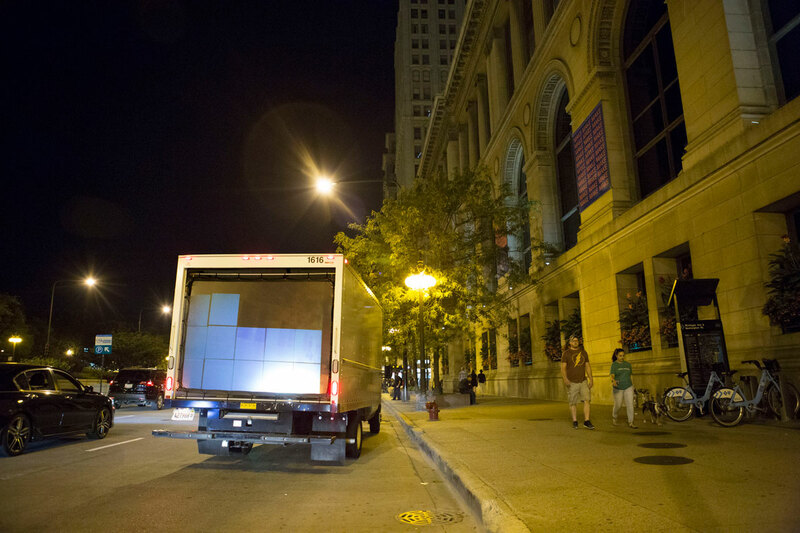 Sitting in the passenger seat of the truck, the artist “remixes” the environment in real time, performing a moving intervention into architectural space. 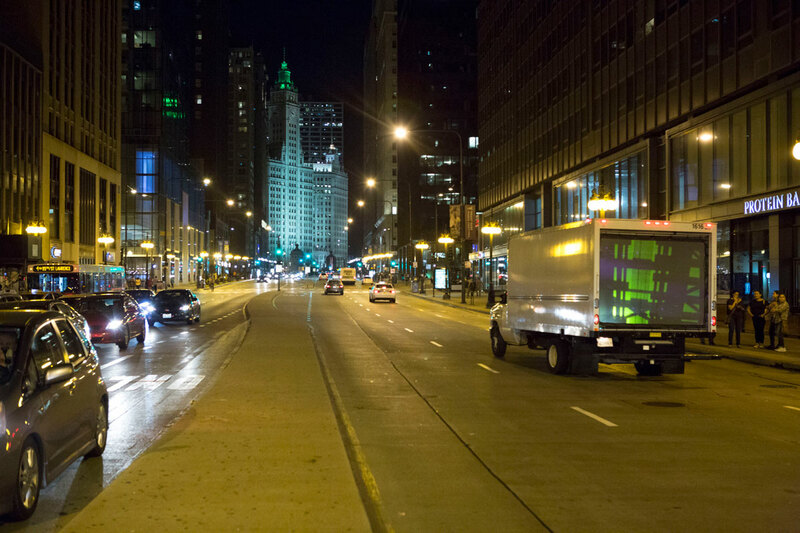 The truck follows a looping path through the city and pauses at anchor locations, inviting passengers to ride along and have their image mixed into the video. range thus continues artist Mat Rappaport’s effort to shape the experience of urban environments through media-based interventions. As tenured Associate Professor of Interactive Arts and Media Department at Columbia College Chicago, a co-initiator of V1B3 (www.v1b3.com), and throughout his artistic career, Mr. Rappaport’s work has steadily sought to unearth the historically embedded, psychological and perceptual contingencies of the built environment. As an active, mobile intervention into lived architectural space, range presents visitors to the Architectural Biennial with a shift toward a more enriched, layered experience of public space. 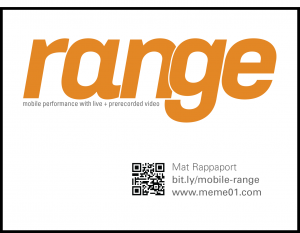 Range Sample Videos from Mat Rappaport on Vimeo.